A Berklee College of Music graduate, Karen brings a wealth of experience in musical instruction. She is a prolific performer and author, having written many articles for Acoustic Guitar magazine and Fretboard Journal, including interviews with legends Les Paul and Tommy Ramone. She has written two instructional books for guitar: Guitar Made Easy and Women in Rock. 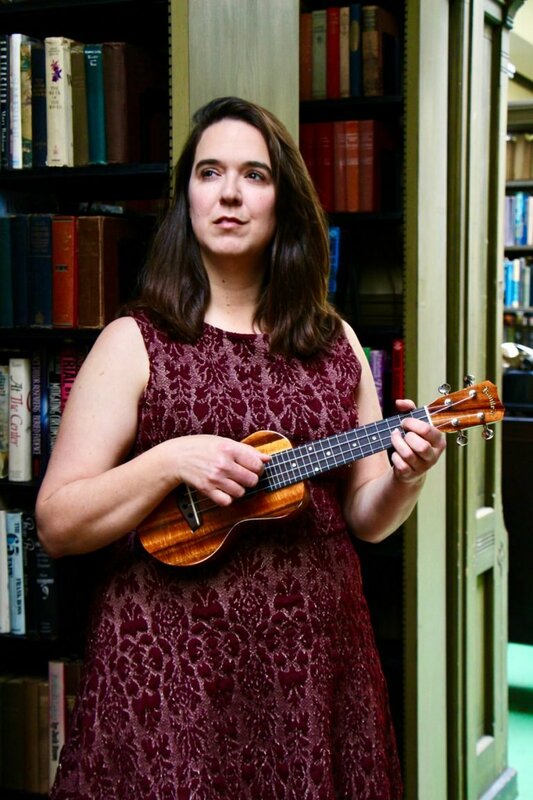 Her 25 years of teaching experience includes both private and group lessons on guitar, mandolin, and ukulele at various music schools and summer camps across the country. She also leads student bands in preparation for recitals. A New Haven-area native, Karen is the mandolinist in the band Flint Ladder. She also regularly provides solo fingerstyle guitar, fingerstyle ukulele, and solo mandolin at weddings and events in the area. Karen loves teaching and encouraging students to do their best AND have fun!